When it comes to dieting, we tend to veer away due to the sacrifice one would need to endure, would you choose something restrictive and tiresome or healthy and balanced while letting you enjoy it on the long haul? The choice is yours. Charm your way to a healthy and sexier you with this newest and practical approach into losing weight: My Spa Diet. Pioneered by lifestyle and weight management consultant /US registered dietitian Cheshire Que, RND, RN, RD, www.myspadiet.com is the first online weight management program in the country that emphasizes a customized diet plan fit for a person’s lifestyle. Collaborating with registered nutritionist-dietitians, it provides a holistic approach on personalized way to meet nutrition needs while losing weight. The diet plan includes life giving foods, teaches smart eating habits and applicable exercise guidelines that considers four phases, pretty much the same concept of a spa: cleansing, detoxifying, rejuvenating, and balance. Growing up together, Mitch ( Ryan Reynolds) and Dave (Jason Bateman) were inseparable best friends, but as the years have passed they've slowly drifted apart. While Dave is an overworked lawyer, husband and father of three, Mitch has remained a single, quasi-employed man-child who has never met a responsibility he liked. To Mitch, Dave has it all: beautiful wife Jamie (Leslie Mann), kids who adore him and a high-paying job at a prestigious law firm. To Dave, living Mitch's stress-free life without obligation or consequence would be a dream come true. Following a drunken night out together, Mitch and Dave's worlds are turned upside down when they wake up in each other's bodies and proceed to freak the &*#@ out. Despite the freedom from their normal routines and habits, the guys soon discover that each other's lives are nowhere near as rosy as they once seemed. DON’T MISS THE TOMATO WATCH SALE this whole month of October! 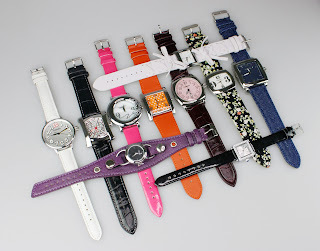 Trendy, fashionable and stylish Tomato watches at affordable prices are on sale at Tomato kiosks in Starmall; SM North Edsa; Trinoma and Marquee malls from October 1 to 31, 2011. Tomato watches are designed to give a maximum impression at an affordable price—there’s a Tomato watch design that matches every look and every occasion: from laid back and relaxed, to every day casual to formal events. Carmina Villaroel is now declaring to the world that her kids are now eating gulay (vegetables) without any problem since she was intriduced to the new tomato and spaghetti sauce by Del Monte now with MMK (Malunggay, Mungo, and Kalabasa). This new offering of Del monte can now help mothers all over the country to enjoy delicious dishes made with Del Monte sauces with the nutrition of the three vegetables needed daily with just 3 teaspoons of the sauce. 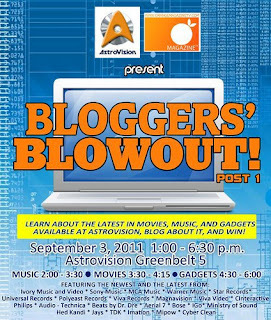 Orange Magazine TV.com is now back on its relaunch last September 24, 2011. Now with a print version on the works set to be released in November, things are getting really interesting with Orange Magazine TV. Lately it has been on maintenance however its blog section remained active. 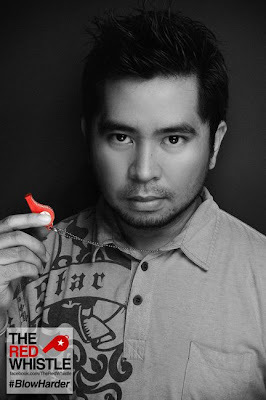 Orange already featured artist like Champ Lui Pio, Noel Cabangon, Gloc 9, and also international artists like Bruno Mars, 30 seconds to Mars, and even local celebrities like Alodia Gosiengfiao, Marc Abaya, and Anne Curtis. Orange is just a year old but covered a lot of events mainly for music and concerts. Meralco 16211 , TEXT HOTLINES - 09175516211, 09209716211 and 09088808576. Repost or pass to everyone you know. Now we again remember the Rainy day horror of Ondoy that happened two years ago. Coincidentally today another typhoon (Pedring) is pushing its way though Luzon. To the many victims, the visions are still fresh, I still remember how Sta Mesa Manila looked like a wasteland on the aftermath of Ondoy. We were indeed lucky to be in an elevated part that is spared from the rolling flood that affected millions. 3M Philippines partners with Candy Magazine for a 2nd serving of the Candy Fair which was a success in 2010. This year, the most “note-able” Candy Cuties will yet again sweeten the Candy girls’ day at the Mega Tent Events Venue last September 24, 2011. This year our Candy girls get the chance to express themselves and impress their favorite Candy cuties by writing heartfelt and personal notes and posting them on the Post-it® Freedom Board where the Cuties can read them. Fun games and prizes also await Candy teens who will be participating in the fun games at the 3M booth. Sentimental moments goes great with unforgettable songs made by Acoustic Sensation, Juris Fernandez now on her third solo album. After her successful launch as a solo recording artist under Star Records with a certified platinum album - “Now Playing” and a most-requested hit single - “’Di Lang Ikaw” which she composed with her co-sessionista, Aiza Seguerra, Juris was able to penetrate the international scene with her Korean album entitled “If You and Me” which was also digitally released under Star Records. Being the first Filipino artist to actually release an album in a highly competitive music industry, Juris continues to shine alone touching a larger reach of audience. And now she is ready to enter another milestone of her career as she release her third solo album entitled Forevermore It is an all OPM album consisting ten (10) tracks that will surely bring us to bliss with her intimate soothing voice! Comicx Hub will soon be turning the Philippine comic book world on its head with the launch of COMICX HUB ONLINE!, a new service that will offer Philippine-based comic book enthusiasts a new alternative in getting their weekly titles in, and will offer a complete line of books from a wide variety of publishers worldwide. This new service, a first of its kind in this scale, will provide its consumers with utmost convenience when purchasing their comic books as it is done online without the hassle of going to a comic book store. It even offers Free Shipping with orders as low as PHP500.00. What’s more, is COMICX HUB’s extensive coverage reaching all areas of the country, servicing even to the farthest of Mindanao. Teen girls and their barkadas had the time of their lives at the biggest teen event of the year, the 2011 Candy Fair! Held last September 24 at the Megatent Events Venue, the Candy Fair featured games, fun booth activities, and Candy Cuties—the recipe for a fun-filled afternoon. Candy girls enjoyed strolling along the park-themed venue, with every nook and cranny a perfect picture-taking spot. The Candy Cuties manned the jail and marriage booths, and bonded with the Candy girls to make the exciting games even more memorable. Sam Concepcion and Elmo Magalona, this year’s cover boys of the Candy Cuties mini-mag, led the celebrity performances with their own song and dance numbers. 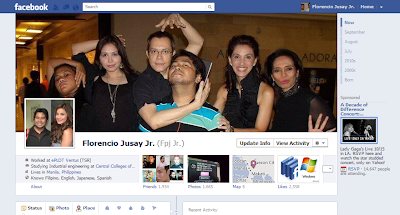 I've Upgraded to the Facebook Timeline! I just recently upgraded to the new Facebook Timeline which looks cool at the same time is a great way to backtrack your activities on facebook especially if you are a facebook addict. With this I found that I started facebook way back February 2009 and many other facts. To get this you have to follow certain steps frist before being offered this service. Friends who have upgraded to timeline are the only one who can view these changes so, take time this lazy friday to upgrade your facebook to a cooler view. To know how to create your timeline profile follow these instructions. Many of my online friends have tried it and hope you will to. Despite changes in facebook, we must remember that we agreed that changes are sure to happen we just have to adjust and love what we have, of course facebook will think of ways to keep us there. Or else, G+ may be our new social hub. So go and get your profile now! Platinum recording artist ERIK SANTOS who brought us his soulful rendition of the OPM classics “My Bukas Pa” and “Lupa” comes another theme song that will surely serenade our human souls, a Basil Valdez original, entitled “Muling Buksan Ang Puso” which will be used in the upcoming teleserye of ABS-CBN starring Gretchen Barretto, Angelica Panganiban, KC Concepcion and Derek Ramsay. 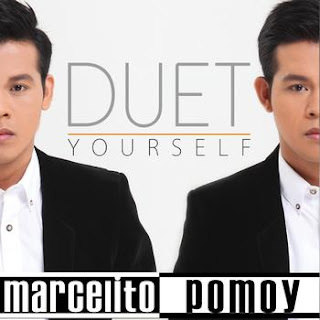 Proven his charm in singing the theme songs of top-rating TV series and blockbuster movies like “I’ll Never Go” for the Star Cinema movie “One More Chance”, the “Prince of Pop” is now set to sing the songs of our lives being launched by Star Records as “The Ultimate Serenader” with his new album entitled “Awit Para Sa ‘Yo.” The album consists of twelve (14) tracks including eight (9) original and four (5) cover songs, all are OPM love songs composed by renowned composers in the local music scene. 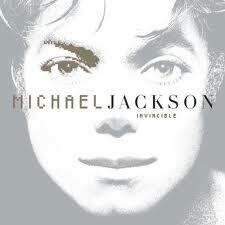 Michael Jackson’s last studio album – Invincible – is approaching its 10th year anniversary since it was released in 2001, this October.Old and new Michael Jackson fans are launching a worldwide campaign to put this album back on top for its anniversary, with 80 countries participating. 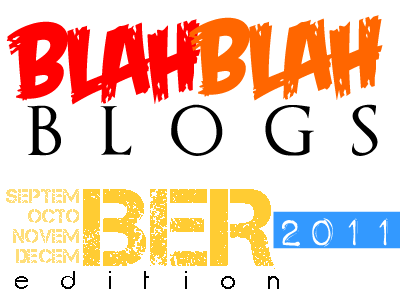 Blah Blah Blogs BER edition: PLANK YOU! MERRY CHRISTMAS! if you are in the Philippines where Christmas starts on when the month sounds "ber" at the end. Yes, its the season everyone is waiting for, the time has come for us to get ready to immigrate to a distant land just to hide from our inaanaks (godchildren) and stock on gifts and other treats. Multiply Opens its Doors to Online Sellers! Before facebook we got hooked with the social networking site multiply.com in which we loved its features especially the photo album feature where we store our photos even in high resolution. Now with a great number of Pinoy followers it influenced the American website in making it a online haven for shoppers and also sellers. With this potential, despite far to compete with the social network giant, providing a great place to shop is indeed a great idea for a website that we are familiar and somehow forgot. But for online sellers and collectors, Multiply is the perfect online site to make secure and fast purchases with a growing number of stores each day. Killarney, Ireland- Philippines’ first representatives in the 2011 Karaoke World Championships held in Killarney, Ireland on September 8-10 made a remarkable start. Joel Cruz was the 2011 KWC Male 1st Runner-Up and Lyda Shyla Roxas was the 2011 KWC Female 3rd Runner-Up. Indeed, the 2011 KWC World Finals marked another memorable experience for all its participants. KWC Philippines’ first experience was a blast with Joel and Lyda making it to the top 5. Their commendable performances served as a clear proof of Filipinos’ world class talent. 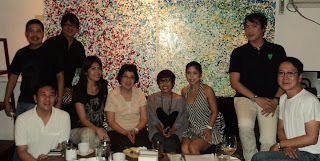 Final weigh-in for the Fab Five at the Grand Finale on Oct 8 WHO WILL BE THE VERY FIRST PINOY BIGGEST LOSER? The country’s biggest reality TV show The Biggest Loser Pinoy Edition comes to an exciting finish when the Fab Five and other eliminated contestants come together for a final weigh-in that will determine who among Angela, Art, Hazel, Larry, and Raffy will lose the highest weight percentage since the start of the show and be declared the very first Pinoy Biggest Loser at the Grand Finale this October 8 (Sat) at the Ynares Stadium in Pasig. I have two bets but will keep them until the final weigh-in. Who are you betting for? Armed with the knowledge gained during their four-month stay in the Biggest Loser camp, the Bigating Pinoys continue their journey in the real world and undergo rigorous weight loss regimen without the help of trainers Chinggay Andrada and Jim Saret. Now with 7 Billion people in the world, the problems also grew like hunger, housing and most especially health. Though many sickness can be cured by medicines today, the HIV/AIDS epidemic remains the most alarming sickness that infects 6 people everyday in the country. And the complications that come with it gives the infected person agonizing pain and also rejection from society. Nowis the perfect time to spread the awareness about HIV/AIDS so that more people may get to know how it is transferred and how to prevent it. 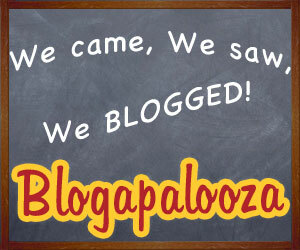 Had Lots of Fun at Blogapalooza! With about 50 advertisers who lined up to participate and to mingle with almost 150 bloggers from all over the metro creating a Business to Blogger event was indeed very exciting and fun with a lot of give aways and products that sparks interests of bloggers. 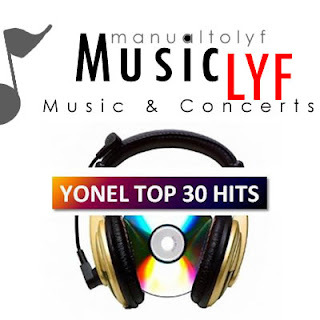 MUSIC LYF: Yonel's Top 30 Hits! Sept 17, 2011. We have a new number one DON'T WANNA GO HOME by Jason Derulo! David Guetta's SUNSHINE comes in at second. Subscribe to MTL to get the hottest countdown in the blogosphere! Yes, the JD Set Tour 2011 is in full swing! 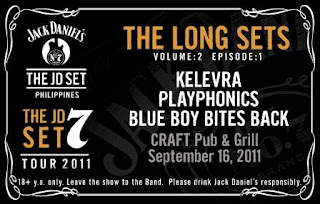 It is time to give another good listen with a good drink of Jack Daniels in hand, as we hit the road over again for The Return of the JD Long Sets! In the beginning there were 13 independent bands picked to join the JD Set. Via the bar gig series called The JD Long Sets, all the bands showcased their original compositions and performance prowess. POP HEARTTHROBS 1:43 (pronounced as “one forty-three”) was handpicked by international label MCA Music as guest performers in the much-anticipated American Idol Season 10 mall tours in Trinoma and Market! Market! on Sunday and Monday, respectively. The mall tour features the Top 11 finalists of American Idol Season 10 including Casey Abrams, Haley Reinhart, Jacob Lusk, James Durbin, Lauren Alaina, Naima Adedapo, Paul McDonald, Pia Toscano, Stefano Langone, Fil-American Thia Megia and winner Scotty McCreery. 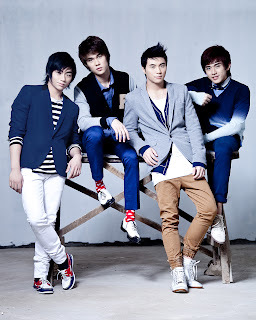 This is the very first time for these idols to perform in Asia. 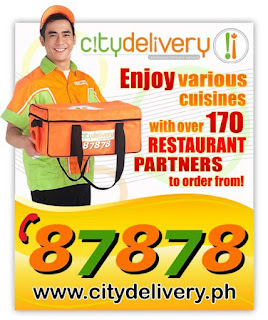 City Delivery Now Accepts Globe GCash! I know most of us are really busy in life and delivery would be the best option that we would think so fill our hunger. And with people getting tired of regular fast food, its great to try out something new with over 170 different restaurants available to satisfy your cravings i n every cuisine. So go ahead order now! And the great thing is you can use Gcash in paying for your transactions! 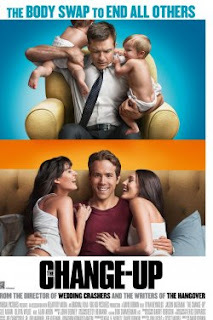 The only thing constant is change – whether at work, home or in school. With change comes the need to update to be relevant. At home, it’s the grocery lists, chore assignments and the kids’ works of art. At school, essays, sketches and the top students lists need regular updating while at work, monthly quotas, scheduled meetings and project status. Most people probably take this reality for granted until they see the peeling plaster and walls riddled with holes. 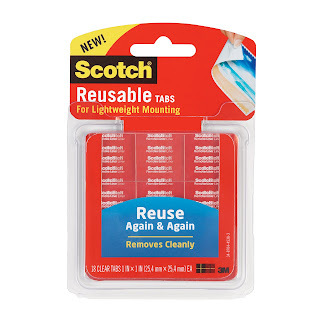 With the need for lightweight mounting in mind, 3M Philippines introduces its newest innovation, Scotch® Reusable Mounting Products. The Strips and Tabs are pre-cut, clear, reusable, and removable adhesive for lightweight mounting and re-mounting to maximize available spaces. September 8, 2011 "I Can Only Imagine" by David Guetta feat. Chris Brown and Lil Wayne jumped to the No. 1spot This week! Nurse and other medical workers who find it find to land a job due to the surplus of nurses? Be happy because this year, Healthcare Information Management (HIM) Congress presents a job exhibit where medical students, graduate nurses and medical practitioners are invited to explore various and rich job opportunities that the HIM outsourcing industry has to offer. The job exhibit which features a live telecast of the conference is open for jobseekers in relevant fields. 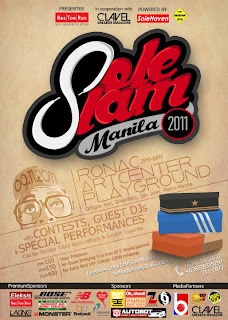 Sole Slam Manila was held at ronac art center is the first sneeker convention in the county and probably in asia. with a number of shoe collectors ane merchandizers shocasing their colection and rare finds. the first in its kind attracted a lot of sneekerheads to look for that perfect pair or something to adf to their collection One can also find other things such as caps collctibles and also shirts that go well with their shoes. There were also performances by MC Dash and Dirty Room Productions. The event was indeed a success and many went home with prizes like shoes, caps, jackets and even a new beat by dr. dre headphones! Due to the overwhelming support and attendance, the originallly planned Summer Sole Slam 2012 will first have Christmas Sole Slam Manila 2011 on December 10, 2011. The University of the Philippines Home Economics Alumni Association (UPHEAA) is hosting a whole day affair to celebrate the golden anniversary of the UP College of Home Economics (UPCHE). The event dubbed “Damayan! Streaming the UPCHE Alumni” will be held on September 28, 2011at the Philippine Trade and Training Center in Pasay City with seminar-workshops from 8:00 a.m. to 5:00 p.m., cocktails at 7:00 p.m. and a gala fashion show at 8:30 p.m.
Orange magzine tv and Astrovision held its Bloggers' Blowout last September 3, 2011at Greenbelt 5 the event is divided into three parts: music, movies, and tech. We were part of the music group and we were presented with the music groups like warner music, sony music (ivory records), MCA music, and star music group (star records) and presented to us the featured artists under their labels. And as an added bonus LG Electronics Philippines let us experience their 3D TV! Woohoo! They featured current record labels and upcoming music and videos and concerts. The record label that caught my attention is Warner music which feautures many artists who I love to listen to like Adele, Bruno Mars, Red hot chili peppers, Rumer, and of course LINKIN PARK! And they will be featuring local acts like Ebe Dancel former member of the band sugarfree now with debut album Dalawang Mukha ng Pag-ibig. Also lets not forget our pride, Charice with a new album! TOMATO IS ALL ABOUT FIRST-RATE, VALUE FOR MONEY FASHION. Now, it adds to its collection of stylish, flirty, and chic clothes, bags, shoes, and accessories a new line exclusively for the Tomato Man. The new line called Tomato Green (red is the color for the women’s collection) is meant to strike a powerful impression, to stand out in celebration, in confidence—or even to slowly, quietly and subtly attract attention, depending on one’s mood and intent. “Tomato Green is a fashion statement that addresses the dynamic needs of theurban man. Tomato Green is young, stylish, bold and most of all, fun,” explained Karen Espiritu.